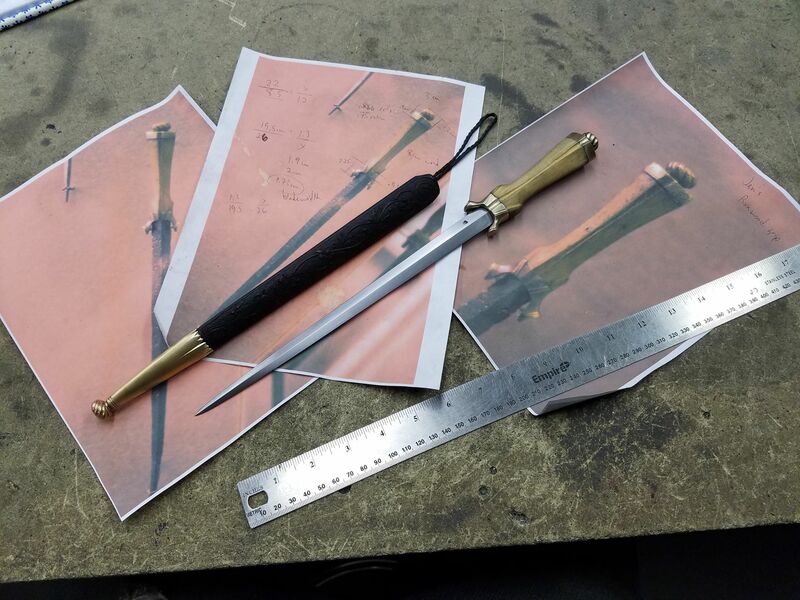 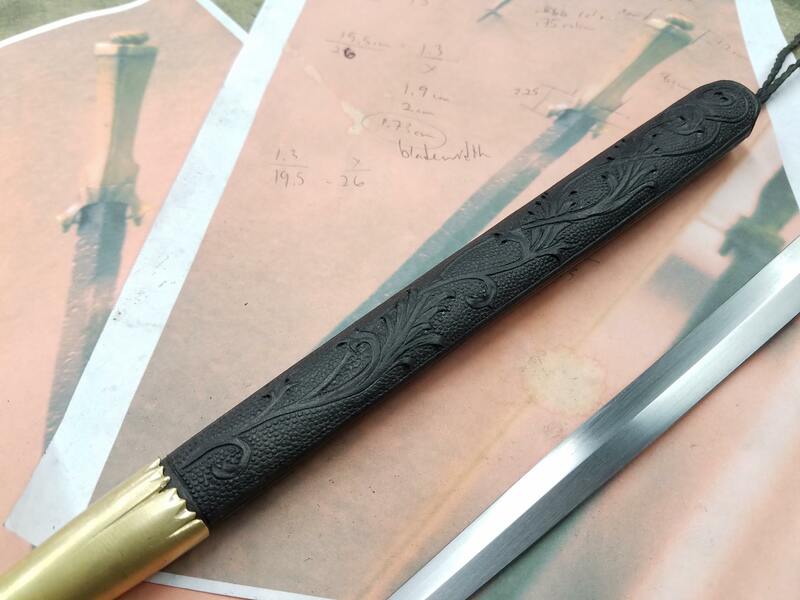 A custom dagger based off an extant example with and added scabbard. 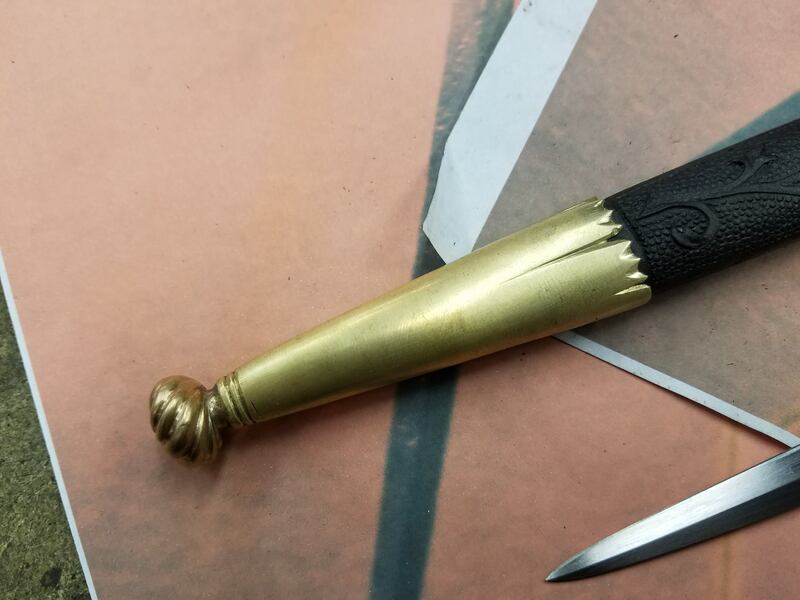 This dagger has an very elegant almost understated design. 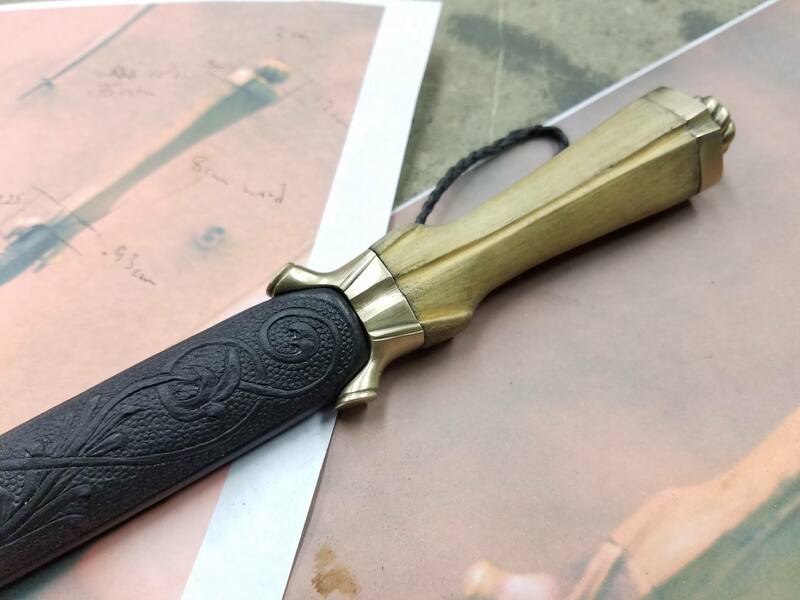 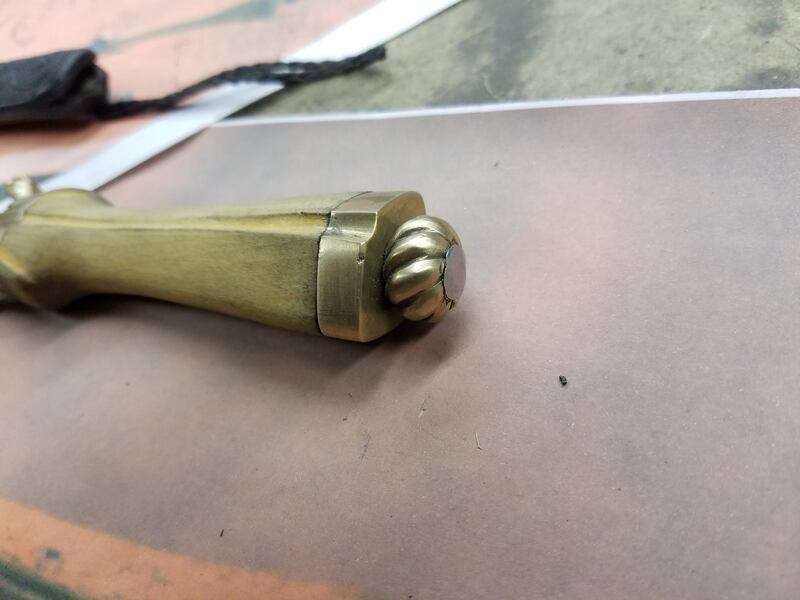 The crossguard, pommel, and finial are all carve/filed bronze and the grip is of boxwood. 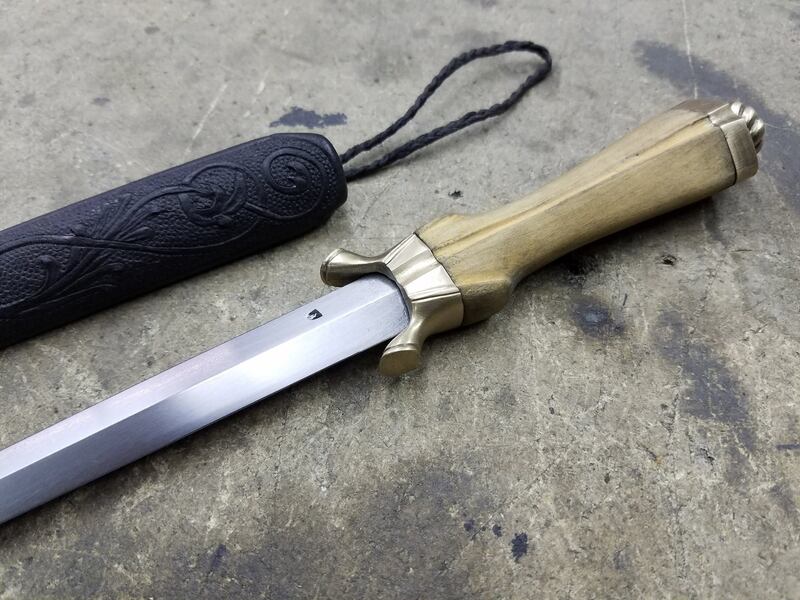 The blade is 6150 spring steel and brought to a hand finish.